Becki began working in recruitment in February 2014 working for an Independent Commercial Agency based in Cheltenham. Following a relocation to Yorkshire Becki joined the JHR team as a Recruitment Consultant in our permanent division in January 2016. 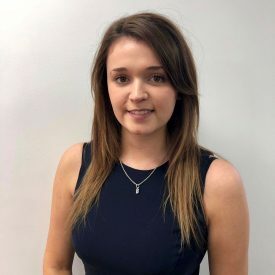 Becki’s experience includes working in both Temporary and Permanent sectors recruiting into volume temporary bookings and successfully recruiting candidates permanently into administration, customer service sales/account management and marketing roles, as well as higher end Team Leader and Management vacancies. Becki gets real enjoyment out of developing relationships with other local employers and jumps at any opportunity to further expand her network. Having completed a course in Leadership and Management; Becki has more recently been working to grow a team within JHR and has found a real passion for supporting others in their journey within Recruitment. Becki lives in Halifax with her partner and is known for working hard to indulge on luxurious holidays!